Should You Buy an Apple Watch? I bought my first Mac in 1987 and have purchased dozens since. I bought two of the first edition iPhones the day they released on June 29, 2007 (for me and my wife), and I purchased at least one iPhone 3G, iPhone 3GS, iPhone 4, iPhone 5 and iPhone 6 shortly after they released. (I skipped the 4S and 5S.) Because it was too big, I skipped the Newton and went for the Palm Pilot, but sure had fun playing with the Newton my colleague at Disney Studios purchased way back when NBC was “must see TV.” However, I’m not buying this Apple Watch. Why? Because, this is the worst Apple Watch ever. Apple Watch is certainly cooler than the other smart watches and Fit Bits, etc, but in 12 months or so this Apple Watch 1 will look like the Newton when compared to Apple Watch 2. My advice is, buy the Apple Watch 2 a year from now. Take the $350-$17,000 you would spend on an Apple Watch 1 and buy Apple stock after the stock sinks due to lower-than-expected Apple Watch sales. The sales figures released by Apple will be lower than the street wants. If no sales figures are released, the street will like that even less, and the stock will go even lower. The stock will still be expensive, but it will be a deal compared to what the stock price will be in June and September when the next iPhones and iPads release, and this time next year when the Apple Watch 2 will be better, and sell better. And you’ll basically be getting Apple Watch 2 for free due to the growth of the Apple stock you buy with your Apple Watch 1 money. Do you agree with this advice? Why or why not? 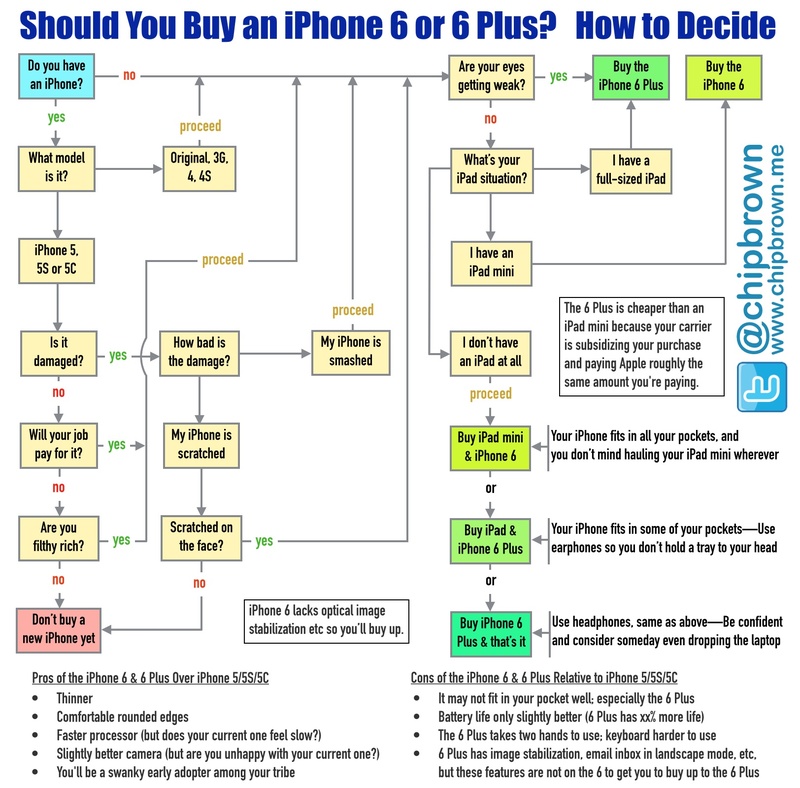 Here’s my post to help you decide between iPhone 6 or 6 Plus. This entry was posted in creativity, culture, innovation, iPhone/iPad shortcuts and tagged android, Apple, Apple Watch, Business, Change, connectivity, design, easy, ergonomics, functionality, google, google glass, industrial design, innovation, iOS, ipad, iPad air, iphone, iPhone 6, iTunes, jony ives, leadership, mobile, Music, new iPhone, productivity, samsung, Steve Jobs, strategy, Tim Cook, usability, user experience, watch on April 9, 2015 by instantchip. Did you buy an iPhone 6 or 6 Plus? Thinking about it? A week ago, the iPhone 5/5S/5C were the latest and greatest iPhones. Here is Apple’s commercial touting one of that model’s major benefits–that you can use it with one hand. But that was before there was an iPhone model with the word “Plus” in it. That’s right, iPhone 6 Plus requires the use of two hands for most people most of the time, and many are having trouble reaching the top corner of their iPhone 6 and even their iPhone 5/5S/5C. There are, of course, times when you only have one hand available. 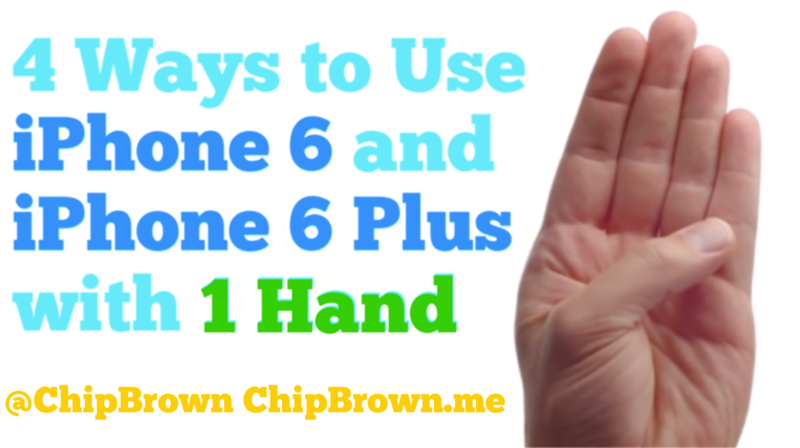 Thus, here are four workarounds for using the 6 Plus with one hand. Two are by Apple, two are by you. This seems silly when you read it, but it’s realistically how many people are using their 6 Plus. Without realizing it, many people have been doing it with the 5 and 5S for the past two years, because the iPhone 5 is .33 inches longer than the 4 and 4S. It’s a little more precarious move with the 6 Plus, so don’t be too cavalier about it unless you have a heavy-duty protection case and/or spidey-senses. This obviously won’t work if you’re on the go, but if you are sitting at a coffee shop or conference table or desk, you can set the 6 Plus down and tap and swipe away with one hand while keeping the other hand free to drink your coffee, raise your hand to ask a question or swat a fly. But, don’t use it to steer a car. This workaround uses your iPhone 6 like a mini iPad mini. These workarounds should help you wrestle that new bigger iPhone into submission so you can get back to the efficiency you had with your earlier iPhone. What other workarounds have you discovered for iPhone? FYI, I’ll post my full iOS 8 review later this week, so please follow my blog if you’d like to see it. This entry was posted in innovation, iPhone/iPad shortcuts, productivity and tagged Apple, Change, digital, display zoom, easy, efficiency, ergonomics, how-to, innovation, iOS, iOS 8, iphone, IPhone 5, iPhone 6, iphone 6 plus, iphone tips, iPhone tricks, mobile, new iPhone, phablet, productivity, reachability, workaround on September 23, 2014 by instantchip. If you use the official Twitter app, you may be confused or frustrated as Twitter rolls out their new design. Lists are now under the gear icon rather than the lower middle portion of your homepage. Interactive notifications let you reply, retweet, favorite and follow from the lock screen, notification alerts and within the notification center. Header Image–You may want to change your header image if you designed it to fit around the profile pic, because the profile pic has moved from the middle of the header to the lower left corner. 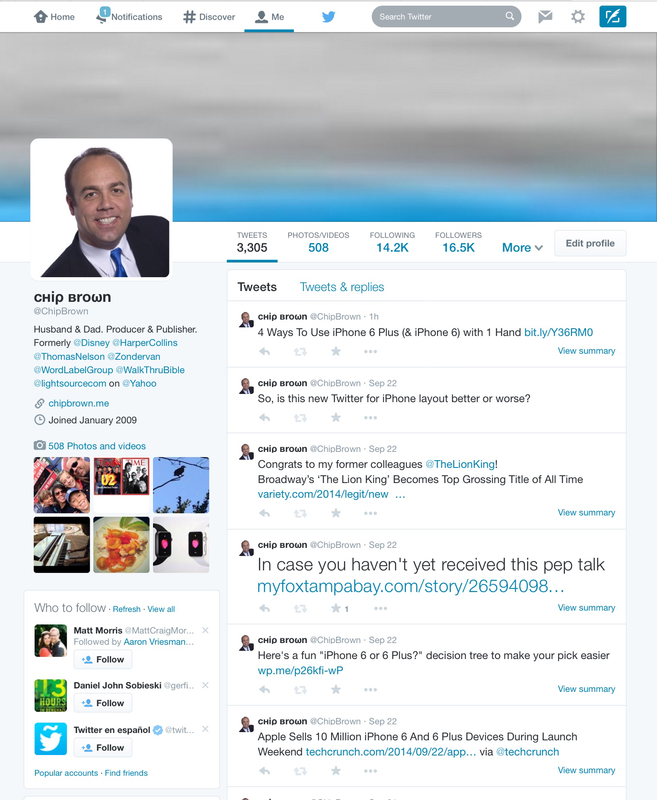 Want a desktop twitter experience on your iPhone? Click here. You might also see a buy button as Twitter tests that functionality on select user accounts. The new app works in iOS 7 & 8, although the interactive notifications only work in iOS 8. I kept this short and sweet with the goal for you to be able to read it quicker than the time it would take you to figure it out on your own. Any critical tips I missed? *Note that drafts are only stored on your local device, not in the cloud with your Twitter account, so you may want to use a cloud-based service to store drafts if you tend to write many posts in advance. This entry was posted in iPhone/iPad shortcuts, productivity and tagged Apple, digital, easy, efficiency, iOS, ipad, iphone, iPhone 6, mobile, new iPhone, new twitter, productivity, shortcuts, tips, Twitter on September 22, 2014 by instantchip. You can read multiple wandering reviews about these cool new products, written in prose, or you can use this one-pager to quickly access whether you should upgrade to iPhone 6, 6 Plus, or neither. The goal here is fun, efficient empowerment, helping you choose and have confidence which model is right for you. Follow my blog to be notified when I publish my iOS8 review, Apple Watch review, etc. Please let me know if this is helpful, or how it could be improved. Thanks. This entry was posted in innovation, iPhone/iPad shortcuts, productivity and tagged Apple, apple store, Apple Watch, at&t, battery life, digital, easy, efficiency, good better best, improved, infographic, innovation, iOS, iOS 8, ipad, iphone, iPhone 6, iphone 6 plus, jony ives, lighter, marketing, merchandising, new iPhone, phone upgrade, planned obsolescence, productivity, samsung, sprint, Steve Jobs, t-mobile, thinner, Tim Cook, upgrade, verizon on September 18, 2014 by instantchip. The Twitter app is great but if you’re on iPhone Safari looking at Twitter, it’s probably because you want the full desktop experience, rather than a facsimile of what the app already gives you. Access the desktop version of Twitter by clicking here. Know any other good Twitter tricks? This entry was posted in iPhone/iPad shortcuts, productivity and tagged Apple, digital, easy, efficiency, iOS, ipad, iphone, iPhone 6, mobile, new iPhone, new twitter, productivity, Twitter on July 27, 2014 by instantchip. Sick of that big battery case or carrying a power supply cord around with you all day? These tricks have gotten me through almost every day for the last seven years with the exception of some long days that turn into nights in NYC where your iPhone fights to get past thousands of concrete and steel skyscrapers and 9 million other iPhones. Turn the Ringer Volume Down unless you’re setting your phone down in a big house or office (where you can keep it plugged in). If you’re in a loud place, just set it on vibrate and use no volume. Turn off “Keyboard Clicks” in Settings/Sounds. Baker’s Dozen Bonus: Turn on “Battery Percentage” to show next to the battery indicator icon exactly how much life you have. Do this in Settings/Usage. 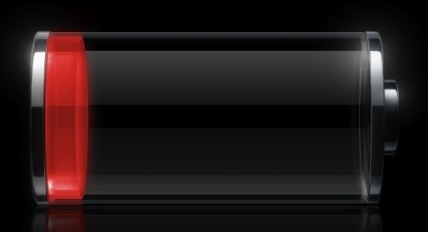 So, there’s 12 iPhone battery life savers. 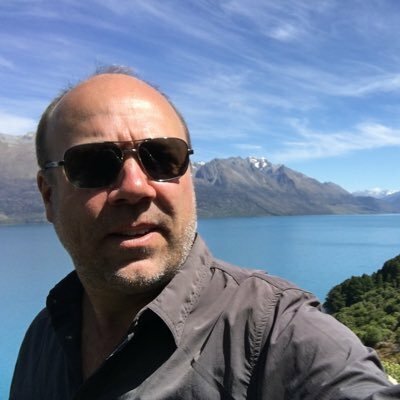 You can even get through a transcontinental trip with a full day on either side of it, if you combine these tricks with turning your phone off during the actual flight time. During that time use your iPad–or read a book! Any ideas you have for extending battery life? This entry was posted in innovation, iPhone/iPad shortcuts, productivity and tagged battery life, iphone, iPhone tricks, new iPhone on August 26, 2013 by instantchip.